The nature of Major League Baseball ballpark naming-rights agreements is often fluid, and this offseason has been a reflection of that trend. In recent months, two teams secured new naming-rights deals that went into effect immediately, while another laid the groundwork for a major partnership that will kick in in the coming years. One of the two immediate naming-rights changes to take this place this offseason was in Seattle, where the Mariners and T-Mobile announced a 25-year pact for T-Mobile Park. The ballpark, which opened during the 1999 season, had been known as Safeco Field throughout its history, but the Mariners and Safeco Insurance announced in June 2017 that their original agreement would not be renewed when it expired after the 2018 season. 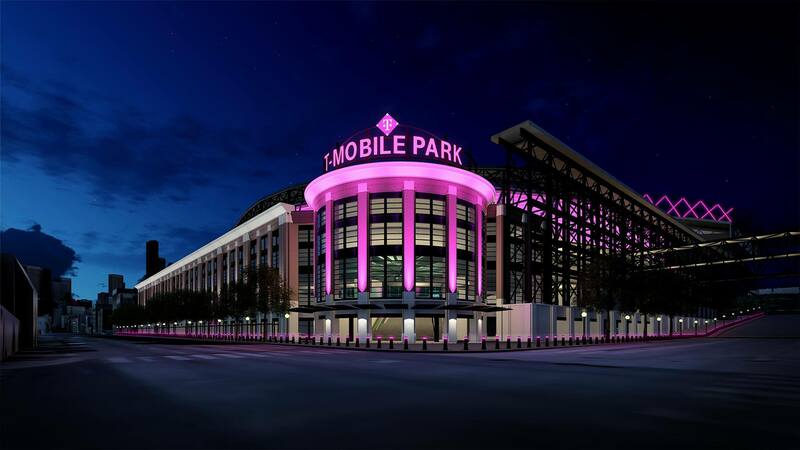 In several respects, the ballpark is entering a new era, and the naming-rights agreement with T-Mobile is a big part of its future. While the establishment of the T-Mobile Park name will come with several branding elements that give T-Mobile a considerable presence in the facility, it also comes as the Mariners begin a new 25-year lease that should lead to ballpark upgrades in the coming years. The lease extension was approved on December 10, about a week before the agreement with T-Mobile was announced. The San Francisco Giants also made a change this offseason, announcing that the former AT&T Park would become Oracle Park beginning in 2019. Though AT&T’s naming-rights agreement was not set to expire until after the 2019 season, the company did not plan to renew and allowed the Giants to end the deal a year early if they found a new naming-rights partner. For Oracle, landing the naming rights in San Francisco allows it to keep a notable presence among major sports venues. The company also has naming rights to the Golden State Warriors’ Oracle Arena, but the Warriors are set to leave there after the current 2018-19 NBA season for the new Chase Center in San Francisco. For the Milwaukee Brewers, an announcement made last month signals a major shift that will take effect in the future. Original naming-rights partner MillerCoors will let its naming-rights agreement for Miller Park expire after the 2020 season, at which point the ballpark will be named for American Family Insurance—the result of a 15-year agreement between the Brewers and AmFam. In this case, the partnership allows the Brewers to strengthen their Wisconsin ties. Though the original Miller brewery is within eyesight of Miller Park, MillerCoors stopped being a Wisconsin-owned entity in 2002, following a buyout from South African Breweries, first under the SABMiller name. Then, in 2008, SABMiller and Molson Coors were combined to form MillerCoors, now headquartered in Chicago. AmFam, meanwhile, is based in Madison and has made considerable inroads in the Wisconsin high-tech economy, and has plans to bolster its presence in downtown Milwaukee. The naming-rights agreement between the Brewers and AmFam will go into effect in 2021, but an official name for the ballpark has not been announced. Between now and the regular season, there could be at least one other naming rights change. The Oakland-Alameda County Coliseum was recently reported to be the subject of a potential naming-rights deal with RingCentral, a cloud-based communications provider headquartered in Belmont, CA. An agreement has not been finalized to this point, but it is likely that any agreement will be part of a short-term commitment. The A’s are currently pursuing a new Howard Terminal ballpark that could open as early as 2023 and are seeking to redevelop the Coliseum and surrounding land as part of that push. Image courtesy Seattle Mariners and T-Mobile.